If you want to know what adulting looks like on Halloween, it’s eating a bowl of Pumpkin Spice Vodka Sauce Linguine and watching spooky classics with your favorite people. Yeah, that sounds like a fun night, right? So please keep your fingers crossed with me that he wears his sweet, little airplane costume?! 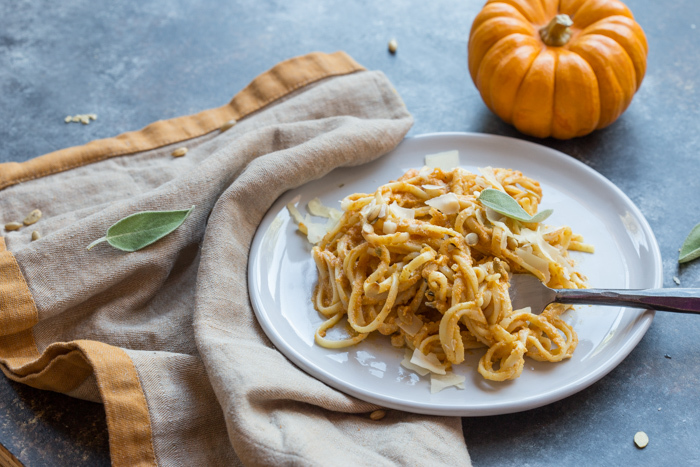 And now you can see more clearly why pregaming with Pumpkin Spice Vodka Sauce Linguine is a must. I love this recipe because it’s so fall and you know I’m all about eating all the flavors of the season: pumpkin, sage, maple syrup… oh my. 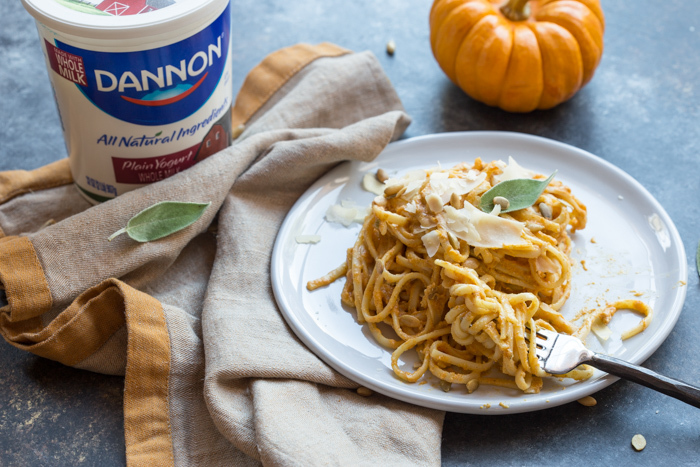 Traditional vodka sauce is made with tomatoes and cream, but this recipe has been reinvented with pumpkin puree and Dannon Whole Milk Plain Yogurt! 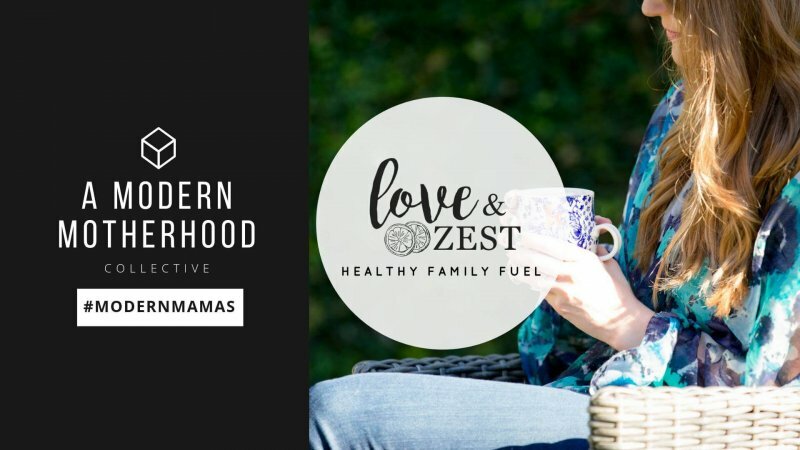 Yogurt is such a tasty alternative to using cream in sauces AND it packs more protein and calcium for the win. Plus it’s so easy to make… a recipe that’s less than 20 minutes start to finish. And if you prefer your pasta non-alcoholic, add more pasta water to replace the vodka. I promise, we won’t judge you. 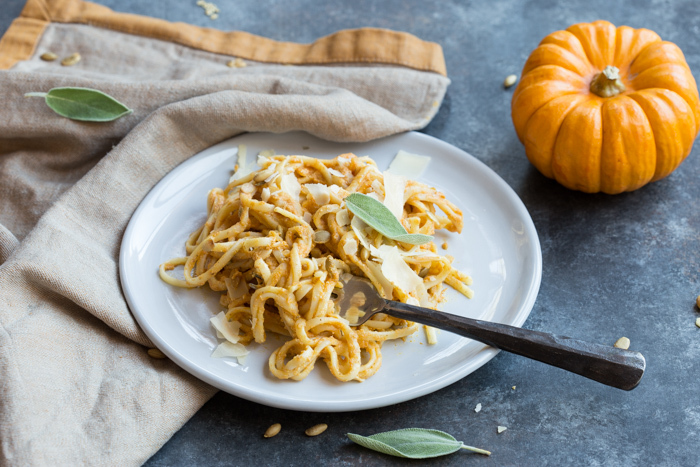 This Halloween, I hope you get to get to watch a spooky movie or two while noshing on a warm bowl of Pumpkin Spice Vodka Sauce Linguine. 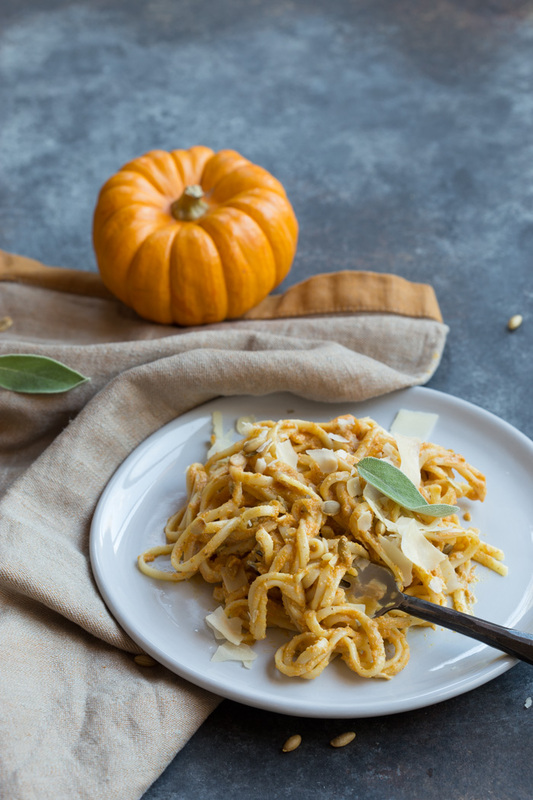 And if your night is shaping up to look more like mine, I hope your kiddos wear their Halloween costume and that you get your proper pasta pregame in. 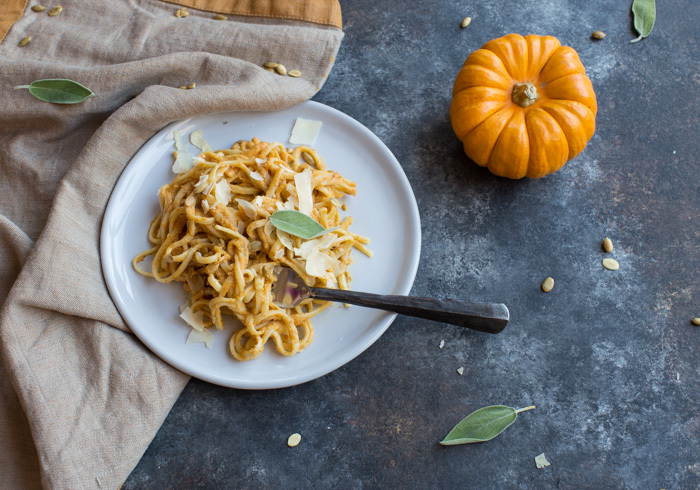 Pumpkin Spice Vodka Sauce Linguine… what adulting looks like on Halloween. 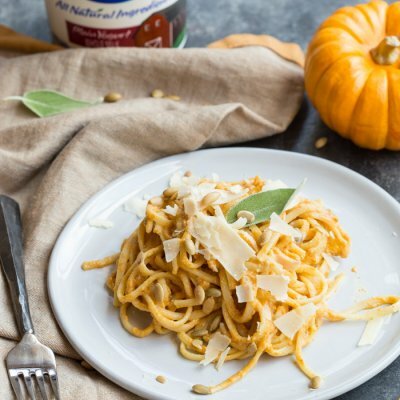 Traditional vodka sauce is made with tomatoes and cream, but this recipe has been reinvented with pumpkin puree and whole milk yogurt. Cook pasta as directed on package. Reserve 1 cup of pasta water, set aside. In large skillet, melt butter over medium heat. Add shallot and sage; cook until aromatic. Season with salt and pepper. Pour in the vodka and allow to simmer for a minute. 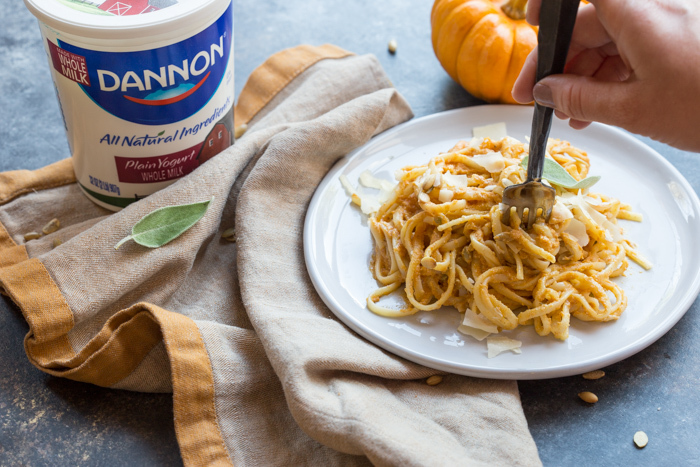 Whisk in pumpkin puree, pumpkin pie spice, and pasta water. Whisk in parmesan until melted; remove from heat. Whisk in Dannon Whole Milk Plain Yogurt and maple syrup. Season with salt and pepper to taste. Add pasta to sauce and toss to combine. Serve warm; garnish with parmesan cheese and pumpkin seeds, if desired. Dude, you’re adulting like a BOSS! 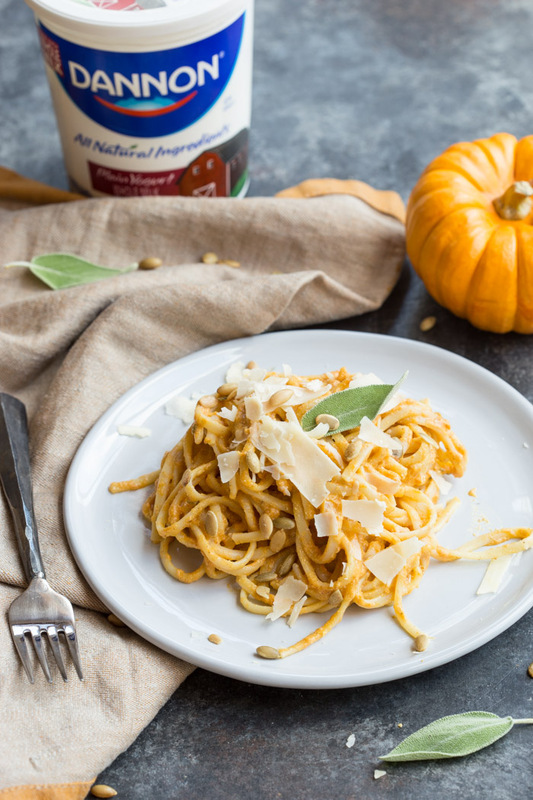 I love vodka tomato sauces but I’ve never tried a pumpkin vodka sauce, it sounds amazing!!! 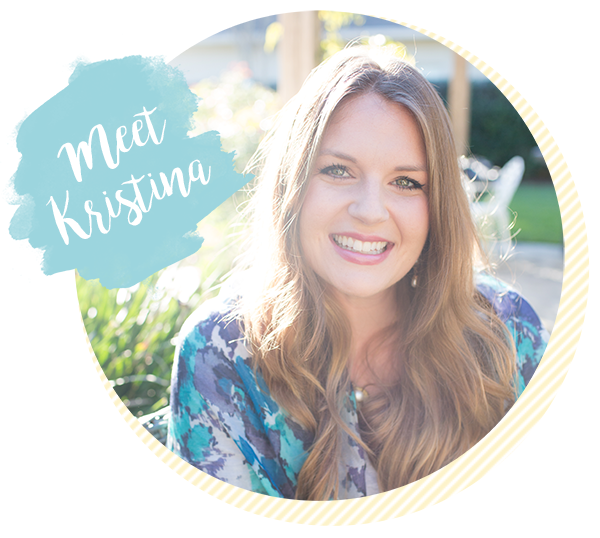 Such a great combo of ingredients, Kristina! My mouth is watering right now! Is it possible to use honey instead of maple syrup? Looks awesome. Saw it on Insta this morning and actually drooled…lol. Guess I’m craving pasta!! Happy Halloween! OK, now I want to put pumpkin spice vodka sauce on absolutely anything and everything I can think of! Ok cracking me up, today I just posted how I am a strange runner who doesn’t eat pasta…but you might have me rethinking that idea. 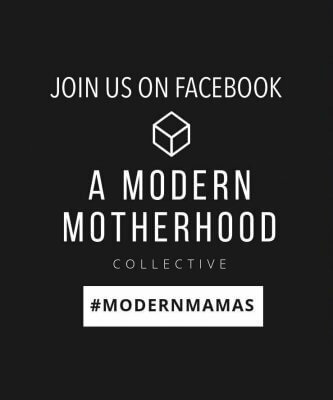 This looks really wonderful! !